The 2018 Idaho Speedgolf Championship tees off the morning of Sept. 23 in Moscow, one year after the Washington Speedgolf Championship was played in Pullman. If you missed the Washington event, you’re not alone. Speedgolf is what you think it is. Come Sunday, about 10 golfers are expected at the University of Idaho Golf Course to compete in the tournament, one of about a dozen 2018 events nationwide recognized on the SpeedGolf USA website. Included in the field is Steve Vancil of Happy Valley, Oregon, who won the Washington event last fall at Palouse Ridge Golf Course. Curious what he shot? How about a score of 73 — in less than 58 minutes. Another to watch is Pullman’s own Chris Hundhausen. 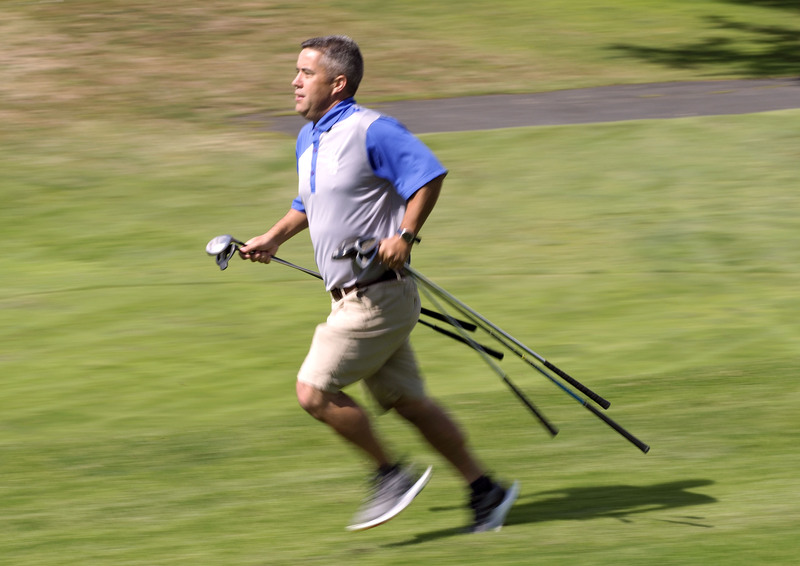 He’s a speedgolf veteran and early adopter of the sport. 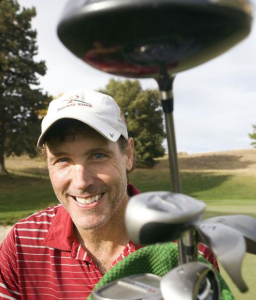 He organized the Palouse tournaments the past two years and is expected to be one of the fastest to complete the course this year. Here’s a quick primer on the sport and the upcoming tournament. VIDEO: Craig Staszkow of Moscow gets his speedgolf on. He’s playing the 10th hole at the University of Idaho Golf Course in Moscow. (video edited for viewer enjoyment and Craig’s ego). The basics: Speed golf is like golf, just played faster — and a little sweatier. Golfers try to complete 18 holes as quickly as possible on foot. How it’s scored: A speedgolf score combines the number of strokes taken with the number of minutes a player takes to complete the round. For example, a speed golfer who shoots a golf score of 90 in a time of 80 minutes would have a speed golf score of 170. Players can improve their score by running faster, golfing better, or both. Or they could cheat by skipping holes but this is generally frowned upon. 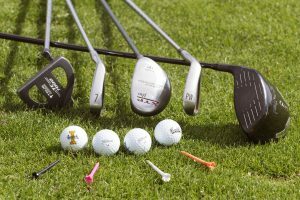 Tools of the trade: Players may carry a maximum of seven clubs. Bags (light “Sunday” versions or specially made speed bags) are common. Some golfers go bagless. Running shoes are the norm. Balls, tees, divot tools, etc., must be carried in pockets, in a bag or perhaps under a hat. Special rules: There’s just a couple of note. Lost balls, balls out of bounds or unplayable lies are all treated the same: Take a one-stroke penalty, drop within two club lengths no nearer the hole, then hurry up and take the next swing already. You can also leave the pin in the hole while putting. Tips, tricks: Use the fewest clubs possible, and make sure you’re confident in each of them. … If you’re planning to play a full 18, schedule the first tee time of the day or else you’ll be running into and annoying everyone else on the course. … Learning to putt one-handed saves time, but avoid this if you’re sacrificing more than a stroke or two a round. … Practice swings take time. Find ball, grab club, hit ball. Thinking is overrated. … Be creative! With a limited number of clubs, you might have to hit your seven iron seven different ways. Craig Staszkow is the director of digital news and community engagement for Tribune Publishing Inc., and a 360 contributor. He’s also a 49-year-old speedgolf rookie. He lacks driving distance off the tee but makes up for it with a stunning lack of speed in the fairways. He’s playing in the tournament with a goal of shooting bogey golf (90) in less than 80 minutes.